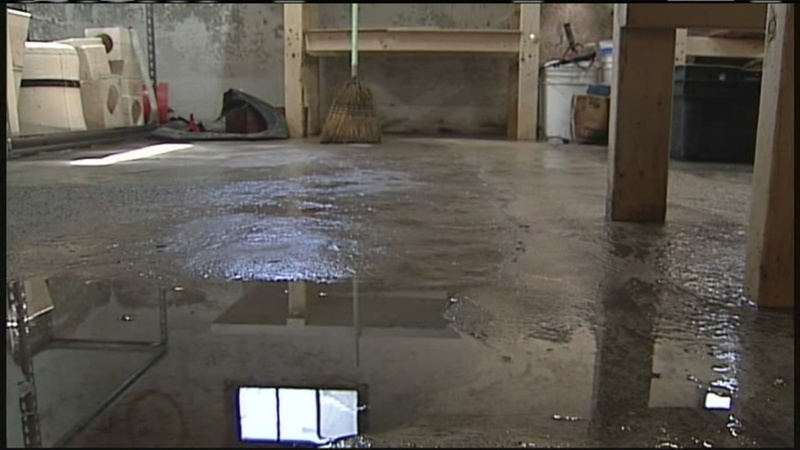 Are You Getting the Right Repair for your Leaky Basement? When you are dealing with water in your basement or any other sort of symptoms of a problem with your foundation, then you may require a foundation repair. But it’s important to recognize that not all foundation solutions are the same. When you’re dealing with a smaller company that only specializes in small crack repair, then that may be the only solution they offer for a complex problem. Unfortunately, that’s not going to work. It may seem like it fixed the problem at first. But just like putting a small Band-Aid on a large wound, it’s not going to be a long-term solution if it’s a bigger problem. So how can you know that there’s more going on than a simple crack in the foundation? How can you know whether or not you’re getting the right repair? We recognize that most homeowners wouldn’t have any way of knowing the answers to these questions. But they want to be able to feel confident that they’re investing their money wisely. That’s why we’ve put together this article with some helpful advice that should be able to help you determine whether you need more than just a crack repair. There are times when the foundation repair solution needed really is just a simple crack repair. We’re not denying that. After all, we do them all of the time ourselves. But sometimes that’s not going to cut it. Here are a few signs that you might have a much bigger problem brewing and need more than a simple fix. Diagonal cracks can sometimes be an indication of a greater problem—in particular, that a wall is beginning to tip. When you’re looking at the wall and the bottom corners on each side have diagonal cracks forming (what we call “twin sisters”), then it warns us the wall may be tipping. Of course, the only true way to measure this is to plumb the wall and determine how much it’s tipped. 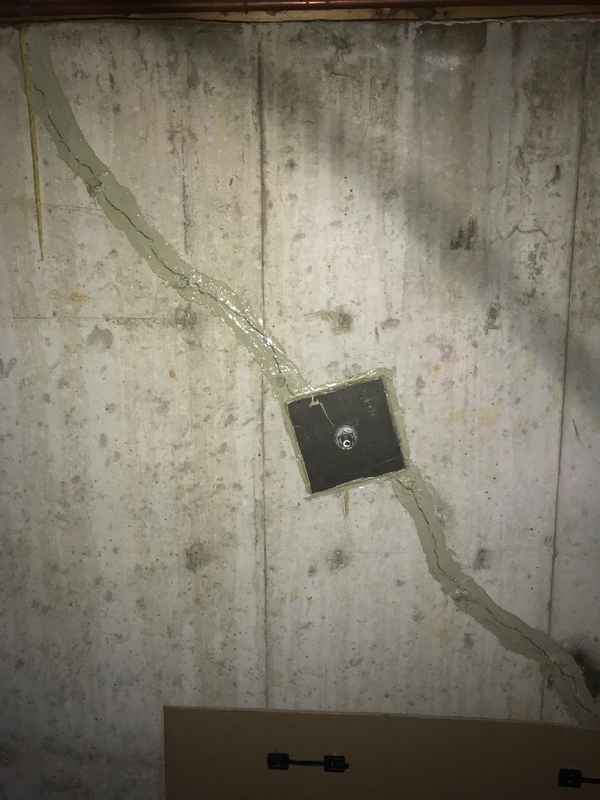 If a wall really is leaning, the foundation repair needed involves anchoring the wall and then performing a poly injection in order to prevent the crack from leaking. But since some companies don’t have the equipment or the know-how to lift a house and pull back the wall, they just sell the homeowner on an inexpensive crack repair. They cover themselves with a warranty that says they don’t perform wall movement. However, if the wall is not structurally fixed, the wall will only continue to move and the crack repair will not hold. A year or two down the road, not only will the crack re-open, but the wall will have tipped even further. Certain horizontal cracks can also indicate that a bigger problem is at play. For instance, horizontal cracks that follow the tie holes in a foundation can mean that it has rusted rebar. Rebar is laid horizontally in the concrete. While some companies will go in and try to sell a crack injection as the only solution, what really needs to happen is that it needs to be chipped out, steel-coated with epoxy, and re-filled in with carbon fiber on top. Cracks that follow the stair-stepping pattern of bricks can be a sign that your foundation is dropping. This will likely be accompanied by other signs of a foundation problem such as doors and windows not opening or closing properly, water in the basement, or cracks in the tile floor. A problem like this will require more than a simple crack repair. It’s going to require a foundation repair solution. If are worried about cracks or leaks and are looking for basement waterproofing that is going to offer you a long-term and complete solution, then you must find the right company. So how can you know that a company you’ve hired won’t just offer you a “quick fix” that’s not what’s truly needed? If a company only has one or two specific specialties—such as a small company that only does cracks—then you should be weary of whether they’ll actually be able to solve your problem. They may just offer you crack repair no matter what the problem is. Another way to choose the best company is to look at their online reviews. Check out places like Google and Facebook and gauge whether other homeowners have had their problems solved. If there are a lot of complaints about incomplete solutions, then take that as a red flag and look elsewhere. By choosing the best company, you won’t have to worry about whether or not you got the right repair for your leaky basement. You’ll have the peace of mind that the company will be able to offer you the solution that’s right for you.